Heating accounts for about 55 per cent of what you spend in a year on energy bills, so an efficient boiler makes a big difference and a lot of sense. 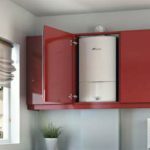 Modern boilers are more efficient for several reasons, but their main advantage is that they are all condensing gas boilers. All well-maintained boilers burn their fuel very efficiently, but they inevitably lose some heat in the hot gases that escape up the flue. A condensing boiler has a larger heat exchanger, so it recovers more heat, sends cooler gases up the flue and is more efficient. How much money you could save each year will depend on how old and inefficient your existing boiler is and the fuel your boiler uses, potential annual saving are not to be ignored. Upgrading an old gas boiler with a programmer and room thermostat, with a new A-rated condensing boiler with a programmer, room thermostat and thermostatic radiator controls (TRVs) could save you up to £305 per year! Gas Safe Bristol are local, highly experienced heating professionals and are on hand to provide advice and guidance on how you can save money on your heating bills. 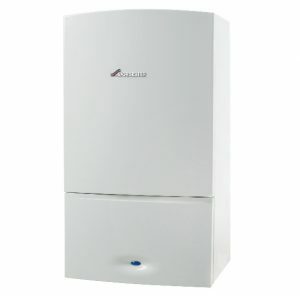 From only £999 Gas Safe Bristol can supply and install a new A rated boiler so you can benefit from a high performance, super reliable condensing boiler for you home. They couldn’t make the process simpler. They will visit your property and complete a full survey and send you a same day fixed price, no obligation quotation. Gas Safe Bristol reported that over 3000 customers in the Bristol area alone choose them to install and maintain their new boiler over the past 10 years and boast a 5 Star customer rating on Google. For more information on how you can save money or for a no obligation quotation please visit www.gassafe-bristol.com or call 01179640078.